Denis Phipps homers (1) on a fly ball to left field. Miguel Cairo scores. October 11, 2018 OF Denis Phipps assigned to Cardenales de Lara. November 6, 2017 Caribes de Anzoategui released OF Denis Phipps. October 10, 2017 OF Denis Phipps assigned to Caribes de Anzoategui. January 30, 2017 OF Denis Phipps assigned to Venezuela. January 19, 2017 Caribes de Anzoategui traded OF Denis Phipps and RHP Pedro Rodriguez to Cardenales de Lara. October 5, 2016 OF Denis Phipps assigned to Caribes de Anzoategui. May 24, 2016 Acereros del Norte released OF Denis Phipps. February 17, 2016 Acereros del Norte signed free agent OF Denis Phipps. November 18, 2015 OF Denis Phipps assigned to Caribes de Anzoategui. January 2, 2015 OF Denis Phipps assigned to Tiburones de La Guaira. July 17, 2014 Broncos de Reynosa released OF Denis Phipps. June 12, 2014 Broncos de Reynosa placed OF Denis Phipps on the reserve list. May 28, 2014 Broncos de Reynosa signed free agent OF Denis Phipps. May 9, 2014 Charlotte Knights released RF Denis Phipps. April 2, 2014 RF Denis Phipps assigned to Charlotte Knights. 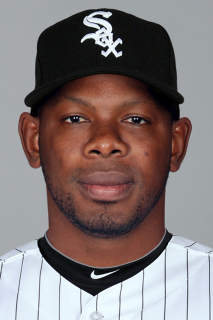 November 22, 2013 Chicago White Sox signed free agent RF Denis Phipps to a minor league contract and invited him to spring training. November 22, 2013 Denis Phipps assigned to Charlotte Knights. November 4, 2013 RF Denis Phipps elected free agency. November 30, 2012 RF Denis Phipps elected free agency. October 16, 2012 OF Denis Phipps assigned to Estrellas de Oriente. 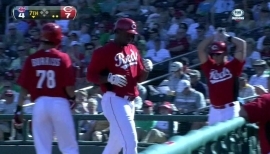 October 15, 2012 Cincinnati Reds activated RF Denis Phipps. September 1, 2012 Cincinnati Reds recalled Denis Phipps from Louisville Bats. June 30, 2012 Denis Phipps roster status changed by Louisville Bats. June 23, 2012 sent OF Denis Phipps on a rehab assignment to AZL Reds. March 25, 2012 Cincinnati Reds optioned RF Denis Phipps to Louisville Bats. February 2, 2012 OF Denis Phipps assigned to Dominican Republic. December 27, 2011 OF Denis Phipps assigned to Leones del Escogido. October 26, 2011 Cincinnati Reds selected the contract of Denis Phipps from Louisville Bats. July 23, 2011 Denis Phipps assigned to Louisville Bats from Carolina Mudcats. May 18, 2011 Denis Phipps roster status changed by Carolina Mudcats. May 10, 2011 Carolina Mudcats placed RF Denis Phipps on the 7-day disabled list. Finger injury. March 19, 2011 RF Denis Phipps assigned to Cincinnati Reds. August 12, 2010 RF Denis Phipps assigned to Carolina Mudcats from Lynchburg Hillcats. July 14, 2010 Denis Phipps assigned to Lynchburg Hillcats from Carolina Mudcats. March 18, 2010 RF Denis Phipps assigned to Cincinnati Reds. March 17, 2010 Denis Phipps assigned to Carolina Mudcats from Lynchburg Hillcats. November 10, 2009 Denis Phipps transferred to Lynchburg Hillcats from Sarasota Reds. October 16, 2009 RF Denis Phipps assigned to Estrellas de Oriente. June 22, 2009 RF Denis Phipps assigned to Sarasota Reds from Carolina Mudcats. June 19, 2009 Denis Phipps assigned to Carolina Mudcats from Sarasota Reds.